he married Ishikawa Yui!!! DAMN!!! WWHAAAAAAAAATTTTTTTTTT????!!! Two characters onlyz?!! GIMME MOREEE! Loved his voice. He is very good. Whos watching it in 2016!? Anyways, I like him as Age. Should be given more roles!!!! Lol, "What a fine piece of man" . This site always has the best comments. 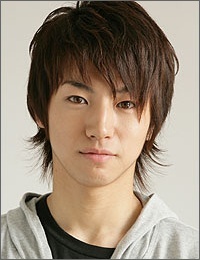 His hotness and manliness nearly killed me in Hakuouki Musical!